It's Monday, one of the last Monday's of the summer break. Can you even believe it? We finished our back to school shopping last week and so now, we will enjoy the rest of the break by sleeping in, spending time at the beach and not having a schedule to live by. Though I have to admit, after a few cool days, I am kinda excited that fall (my fav season) is right around the corner. 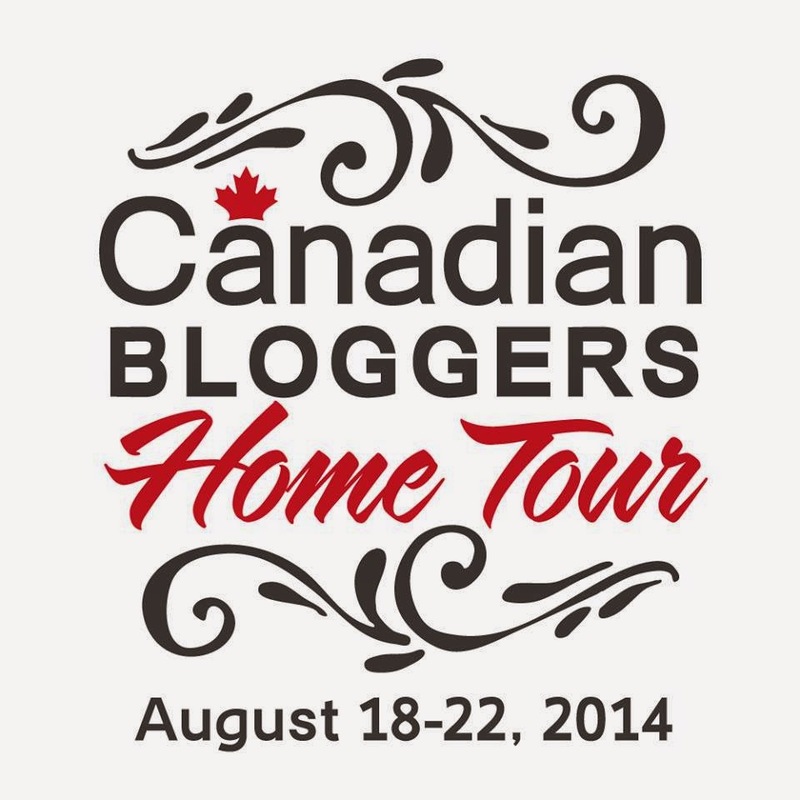 A group of lovely ladies have organized a Canadian Bloggers Home Tour and were kind enough to invite me to participate! So be sure to stop by tomorrow to find out more about it! Have a lovely Monday, friends! I'm sad that summer vacation is almost over, but fall is also my favorite season so I can't be too down about the school year starting. Can't wait to see your home tour! Super cute outfit and super cute nails, both toes and fingers. Can you say what the polish is? In any case, it's the perfect color to pair with denim. Being new to the world of blog reading, I am curious as to how the comment stuff works. Do bloggers read the comments? Do they respond? Do you have to have a blog in order to expect a response to a question/comment? Can anyone enlighten me as to how this all works? Hey Riley! I'd have to say it's different for every blogger :) I just went to reply to your comment via email (which is how I usually reply to comments) and realized that the reason you never received my reply to the first comment about the nailpolish was because there isn't an email attached to your profile, which I didn't notice the first time. I'd say that most bloggers do receive and read the comments, as for the replies, it's depends on the blogger. I read occasionally about "no reply bloggers", but since I don't have a blog, that can't be me, can it? I sent an email reply to you but don't know if you will receive it. There is much I have yet to learn. So....the polish? My guess would be OPI Flashbulb Fuchsia. Hi Riley, no problem. The nailpolish is Plumberry by Essie. Okey dokey. I'm off now to see if that shade is available in the States. Can't wait to see it in person!!!!!!! The pictures I've found of Plumberry look very RED raspberry-ish. Your polish, on the other hand, looks very Blink Pink-ish. Are you sure you're wearing Plumberry in this picture? So sorry to be a nag! If it's not Plumberry then it's either Haute in the Heat or Big Spender, both by Essie. Those are the only colours I have that are similar. Thanks so much! I think it looks like the pictures I've seen of Big Spender. I'll bet you expect most of your visitors to ask questions about your home's decor...not your finger/toe decor. lol! Found Big Spender and love.it. I've never tried Essie before so am delighted to see that it wears wonderfully for me. Six days and no tip wear. Can you believe it? This Thing Called A Blog - Hello Again!